WASHINGTON (CNN) -- A terror suspect detained at the U.S. prison at Guantanamo Bay, Cuba, will be transported to the United States for trial in a civilian court, two Obama administration officials said. 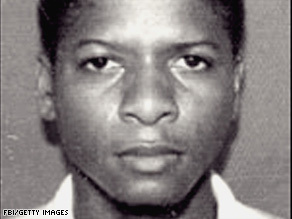 Ahmed Khalfan Ghailani is shown in a photo posted by the FBI in 2004. The officials, who did not want to be named because the plan has not been officially announced, said Ghailani will be tried in New York, where trials for international incidents, including previous embassy bombing cases, often are held. The officials did not say when Ghailani would be transported. Ghailani has been indicted in New York several times for crimes including the embassy attacks. He was captured in Pakistan in 2004 and transported to Guantanamo in 2006. In the 1998 bombings, 224 people were killed, including 12 Americans. The announcement is expected to be made Thursday, the same day President Obama will give a public address on the detention center and other security issues. The news came on a day that tension mounted between Congress and the Obama administration over the planned closing of Guantanamo. The U.S. Senate passed a measure Wednesday that would prevent detainees at Guantanamo Bay from being transferred to the United States for now. CNN's Kevin Bohn in Washington contributed to this report.